manipulate in just a matter of seconds. So, what do you need to do? 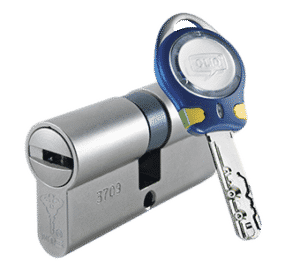 There plentiful of available solutions; and one of best solutions is to install the high security locks San Diego rather than the cheap locks that can be purchased in Lowes or Home Depot. High door locks San Diego are very important. A regular latch can easily be picked with the specially designed tools or any simple household drill. 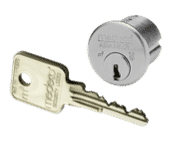 The high defense deadbolt and latches, on the other hand, can offer great protection because the cylinders are integrated in order to make them resistant to drills. The thieves are smart, the very moment that they noticed a high defense latch or deadbolt is installed in your place, they will immediately decide not to waste their time and will move on to the next home or building that is much easier to be penetrated. Patented Key Control – our high security locks include a restricted key system. Our patented high security keys can only be duplicated at our authorized locksmith dealers. The keys even use signature verification in order to prevent the key from being duplicated by any unauthorized person. The regular keys can possibly be duplicated at any local hardware store for $2 only. But our high security key can prevent this from happening and allow you to keep a constricted control on who has the copies of your business or home keys. Pick Resistance – the standard locks can be picked easily just like what you usually see on TV. The lock picks are widely available on the internet and with little practice, opening a locked door would take a matter of minutes or even seconds. 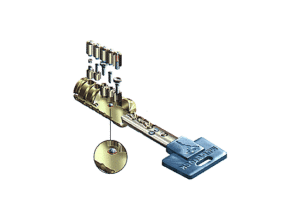 The high security locks San Diego uses different pick resistance technologies that can prevent a person from picking locks. Some pick resistant items can be seen easily on our high security door locks San Diego key whole others are hidden inside the lock itself. Drill Resistance – The high security cylinders are design specifically in order to resist any drill attack. Opening a lock can be as simple as creating a short line between the outer housing and the inner cylinder. On most locks, this can easily be done through the use of small drill, drilling a hole at the upper part of cylinder. It usually takes a few seconds to drill a hole in most of the locks, and this hole will create a short line, which can make the lock easily opened. If you’re thinking that no one knows this trick, think again. Thieves and criminals are well-aware of this and always use this to penetrate a business establishment and home in just a matter of seconds. Increased Physical Attack Resistance – our high security locks San Diego come standard with interlocking deadbolt and reinforced strike plate. These kinds of security features are very important to secure your business establishment of home. Most of the burglars know that they can simply kick the door to break in someone’s house because most home only use inexpensive deadbolt or knob lock, which makes them an inviting, easy target. Lasting Quality – our high security door locks San Diego are simply built better. 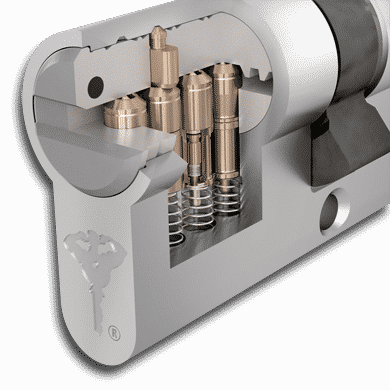 Our locks have the entire steel and brass components inside. There are no die-cast pieces that can break easily or be broken by intruders. It’s very essential to have a lock that is built tough in order to secure your door. By using our high security locks San Diego, you will be guaranteed to get the right quality for proper protection. Our security locks services all consider these 5 criteria which will ensure your home and business establishment physical security. You need to keep in mind that the burglars’ worst enemy is time, so the considering our services will give these burglars a hard time, which means you’re completely protected. installation services that will keep your home or business establishment safe and secure, and perform a clean installation process without damaging your door. The installation charges can vary depending on the types of latch that you will choose and the number of locks that need to be replaced. You are guaranteed to receive professional services at very affordable prices to ensure that hiring us would give you the best deal and service. Choosing the best security for your business or home is one serious decision. Before deciding on which type and brand of lock that’s right for you, you need first to complete the entire research.